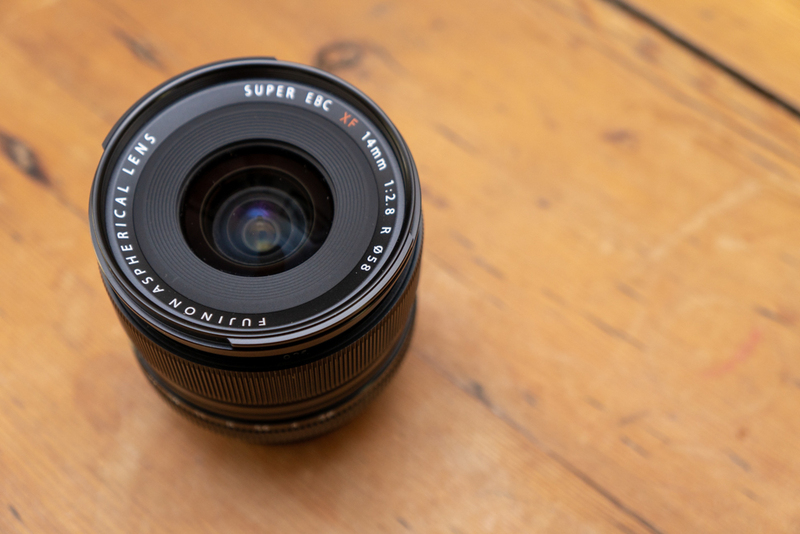 The Fujinon XF 14mm f/2.8 R is an ultra-wide angle prime for the FujiFilm XF system. The XF 14mm f/2.8 is a super compact lens that gives you a 21mm full-frame equivalent focal length. Its both small and lightweight which lend it to be extremely useful for wide-angle street photography, landscape or architectural work – particularly with interiors or tight spaces. This is currently the widest prime available for the XF system – to go wider you’ll need either the XF 8-16mm f/2.8 R LM WR or the XF 10-24mm f/4 R OIS. Both of these are excellent alternatives, but are much larger in size and weight. I’ve owned the 14mm prime for about a year now and its one of my go-to Fujifilm lenses. Like most ultra-wide lenses the shallow depth of field only works with subjects close to the minimum focus distance, but if bokeh is what you want, I’d recommend the XF 16mm f/1.4 R WR as it uses larger glass and renders focus a bit differently. Primarily the 14mm is designed for sharpness and optically it is quite good. 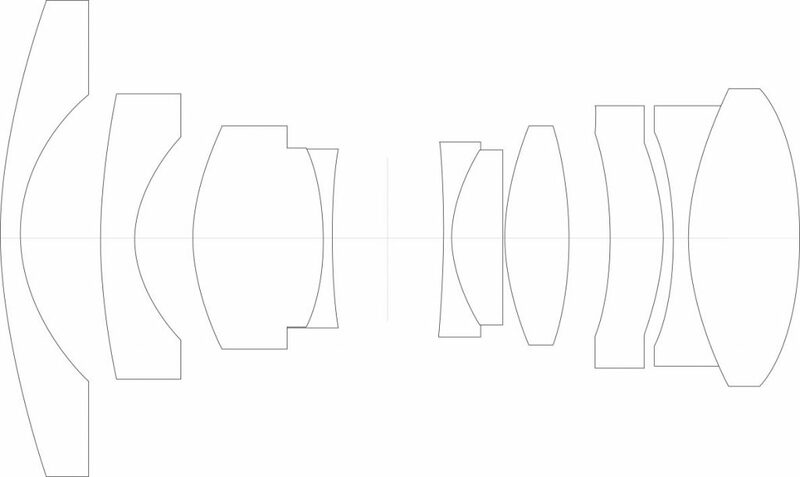 As you can see in the element layout, the Fujifilm XF 14mm has a symmetrical layout similar to the Zeiss Biogon design. Biogon is a common design for rangefinder cameras. It was also found in the Hasselblad SWC and you see it today on the Zeiss Loxia 35mm. This type of design is great for making a small lens. It doesn’t work as well with a DSLR due to the short focal plane distance – its not big enough for clearing the DSLR mirror. Even the Hasselblad SWC was a dedicated attached lens because the focal distance was much shorter than what you’d find on the 500CM type bodies. This design is ideal for Fujifilm XF cameras since the whole concept centers around having a smaller setup. Its a small lens that gives you incredible optical performance. Fuji MTF information is really limited. I’m assuming it is theoretical and not taken from an actual lens. I’m also assuming this chart is giving is readings at f/2.8 – the maximum aperture. I can tell you from my own experience with this lens – stopping down slightly will get the sweet spot on the lens. Its an APS-C format so wide angles tend to be designed for sharpness. Stopping down to f/4 will give you the best balance of micro contrast and sharpness. If you need a greater depth of field you can get down to f/8 easily at a slight expense of micro contrast. My best results with this lens are in the f/4 space. Optical performance on the Fujifilm XF 14mm f/2.8 is outstanding. Images are sharp, even at f/2.8. Wide-open, you do see some sharpness/contrast falloff at the extreme corners, however its very impressive for a small lens at this price point. Barrel distortion is minimal – Fuji does much of this correction in camera, but it looks fantastic. Perspective distortion is the issue you’ll have with this lens as you would expect. If you’re shooting architectural images, keeping the lens level is extremely important. 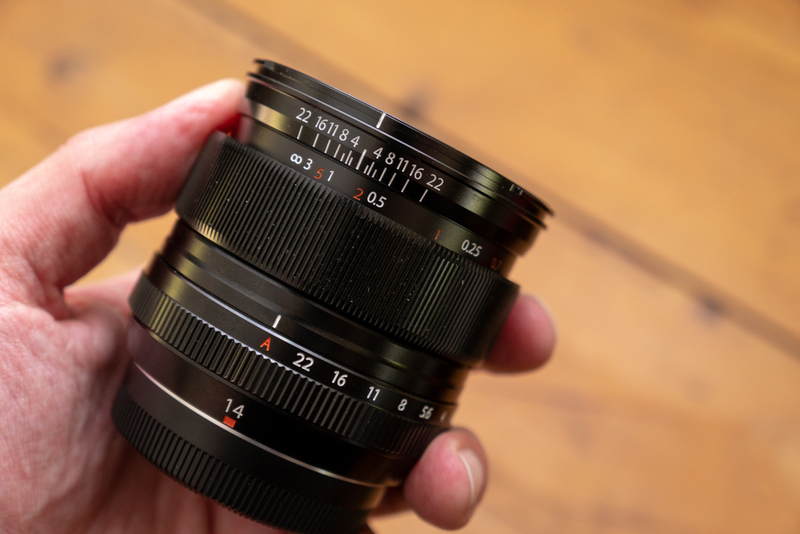 Fujifilm have not made a tilt-shift lens to date and I’d really love to see them do one. I don’t suspect this will happen at any point soon so this is the wide you’ll be using the most for that type of work. As you would expect from any Fujifilm lens, the XF 14mm f/2.8 has “the look”. But you’ll need to be very close to your subject to get the depth of field to render. If you want a wide that does bokeh really well, you need to look at the XF 16mm f/1.4. Autofocus is decent in this lens, but it is built with the older micrometer/stepping motor design. Compared to newer technology, its not the fastest focusing lens. But what’s interesting is that the compact FujiFilm primes are also using stepping motors but are very quiet and fast. There’s clearly a design difference/implementation that makes this more efficient. There is a 16mm f/2 compact rumored for 2019 so it will be interesting to see how this lens performs when its released. 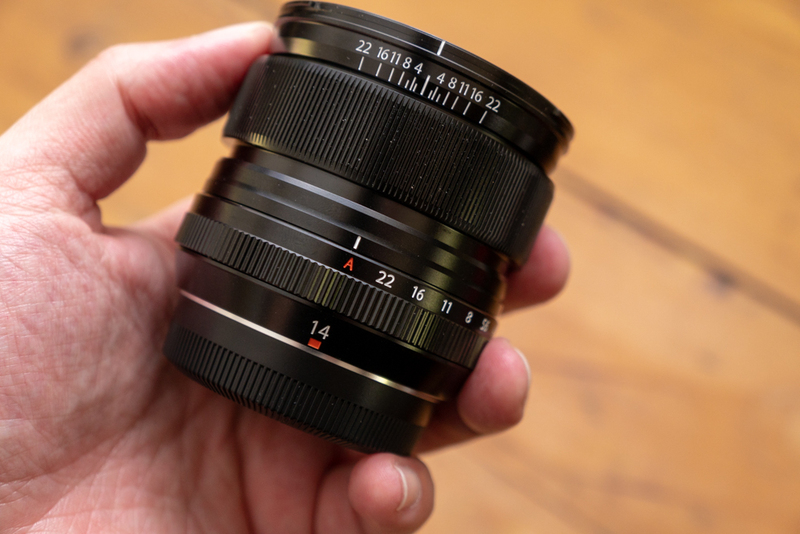 The XF 14mm f/2.8 is designed with the older micrometer/stepping motor design. However it is fast and because of the wide angle you don’t necessarily need a linear motor so its definitely acceptable for both stills and video. I’m sure FujiFilm had reasons for this design choice in order to keep it small, lightweight and affordable. The lens collar does pull towards the camera to switch the lens to manual focus. When you slide the collar, this reveals a focus scale so you can zone focus. Its a nice design touch when you want to go manual focus. You don’t have to change the setting on the camera, its right under your hand. To go back to autofocus, you push the focusing collar forward. But oddly, you’ll feel it has to pop into place which sometimes requires turning slightly. Its a really nice design, I just wish it had a slightly smoother implementation. Pull the focusing collar down to engage manual focus. Push the focus collar forward to re-engage autofocus. One caveat – the manual focus feel is super strange. It has hard stops, but its still focus-by-wire. Most modern autofocus lenses are designed this way, unfortunately. It has to do with the autofocus and how it drives the motor in the lens. Fujifilm also offer an option in the camera menus for reversing the focus direction so I’m fairly confident all Fujifilm native lenses will be focus by wire. One other small complaint and this is common amoung FujiFilm users. I wish the aperture ring were tighter. Its really easy to slip from the A mode to f/22. And since you’re not getting an f/22 preview through the viewfinder its easy to miss that you’ve changed the setting. You have to get used to keeping an eye on this and its frustrating. Despite my minor issues with this lens, they are all physical. The optics are outstanding. If you want a sharp, ultra-wide angle prime for your XF system that’s compact and portable this is your best bet despite a few design frustrations. 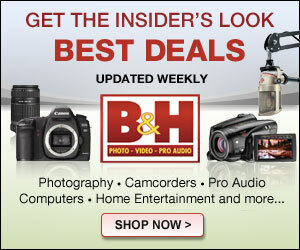 You will get fantastic images with this lens.